"They had a different kind of connection." 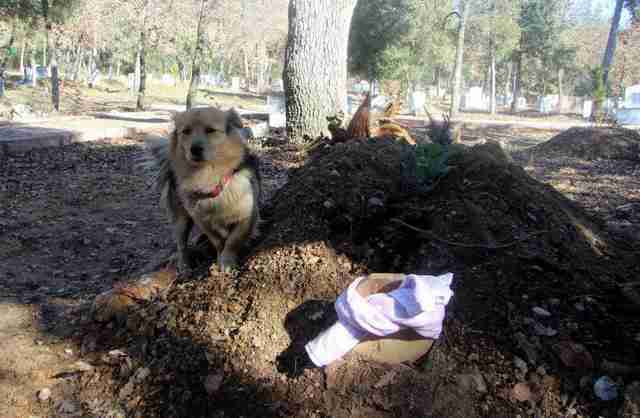 This little dog named Cesur recently lost the one person in his life who mattered most to him. But even in the wake of his best friend's death, Cesur's love and loyalty for him still has yet to fade. Last week, after years of illness which had left him paralyzed, 79-year-old Mehmet Ilhan died at a hospital near his home in Bursa, Turkey. 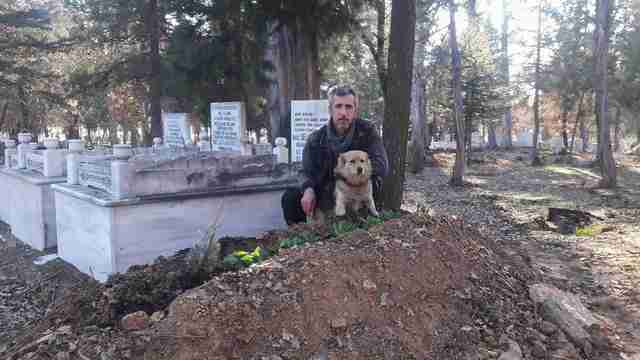 For the last two years of his life, Cesur had been Mehmet's faithful companion, so his passing was especially heartbreaking. "Because of my father's paralysis, they had a different kind of connection," Mehmet's son Ali told The Dodo. "When my father was in the hospital during his last days, Cesur stopped eating." Still, no one could have expected what happened next. After Mehmet's body arrived home, Cesur remained close by, refusing to budge. 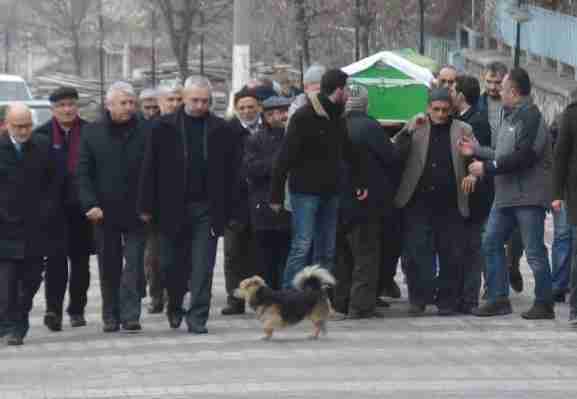 When a procession formed to carry the coffin to a local mosque for the funeral, the dog insisted on leading the way. 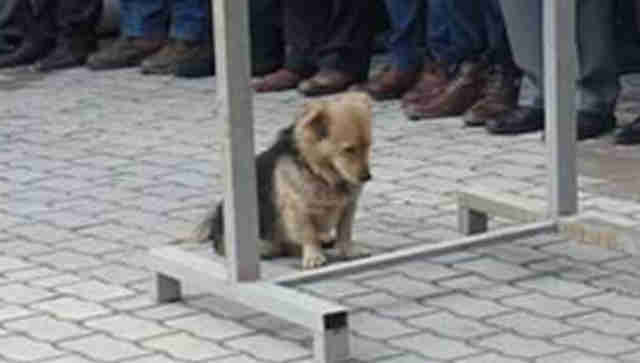 During the ceremony, Cesur sat by the coffin, his head hanging sadly. This is how he remained the entire time. "Nobody could touch him until my father was taken to the grave and was buried," said Ali. 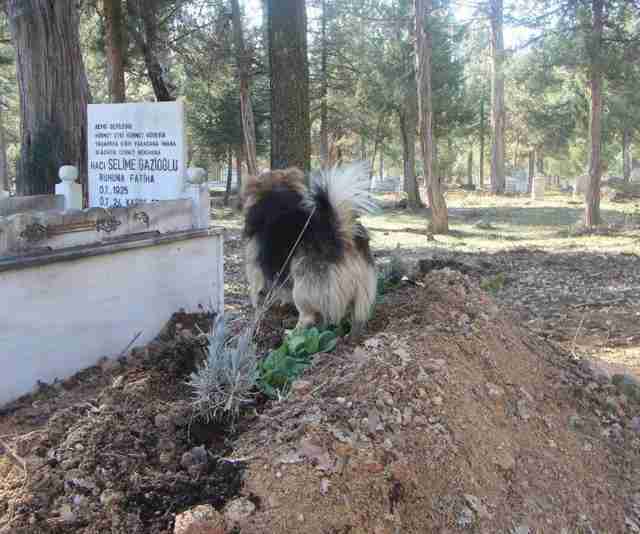 Cesur watched as Mehmet was laid to rest. Sadly though, it seems to have brought him little closure. 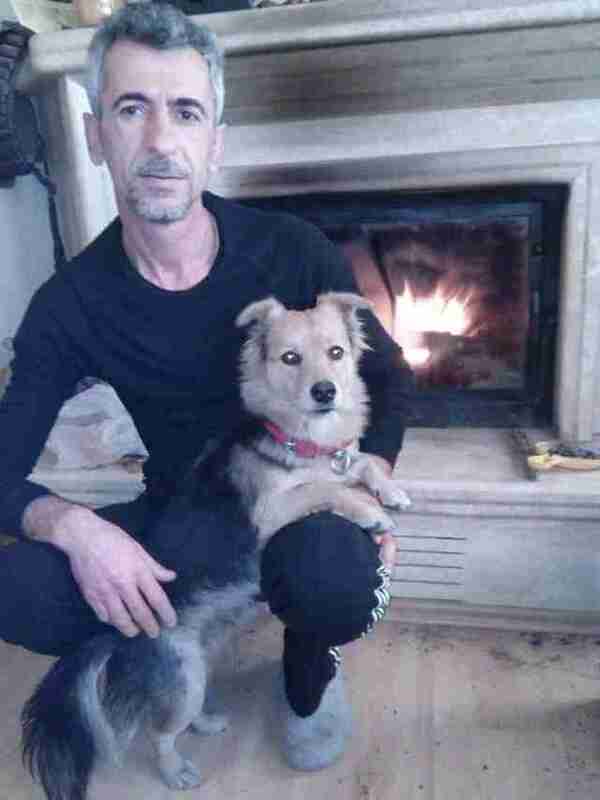 The little dog now lives at home with Ali, but his heart still pines for Mehmet. For the last five days since the funeral, Cesur has traveled through town to the burial site to sit by his old friend's side. Ali had been noticing Cesur would dart off through the door when he left for work, but it wasn't until he decided to follow him one day that he realized what was happening. "The people who work in the cemetery say the first thing he does in the morning is visit the grave of my father," said Ali. On this day, they paid their respects to Mehmet together. It's unclear how long Cesur's daily pilgrimages will continue, or if he'll ever fully heal from the loss. 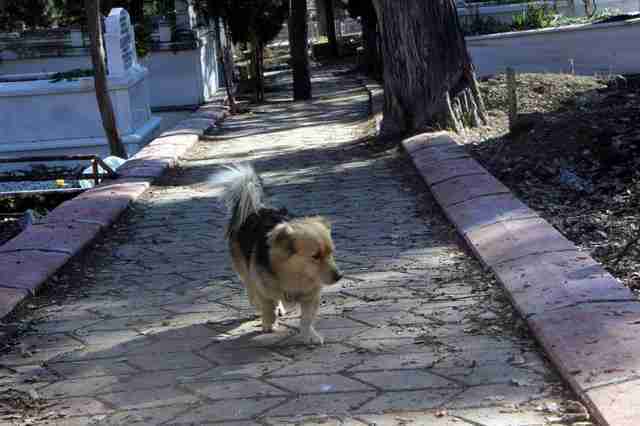 In any case, however, Ali promises that the little dog won't have to face the future on his own. "Cesur has always been a noble animal," said Ali. "He will live with me from now on."